Playing in fun and exciting tournaments starts by registering your team. 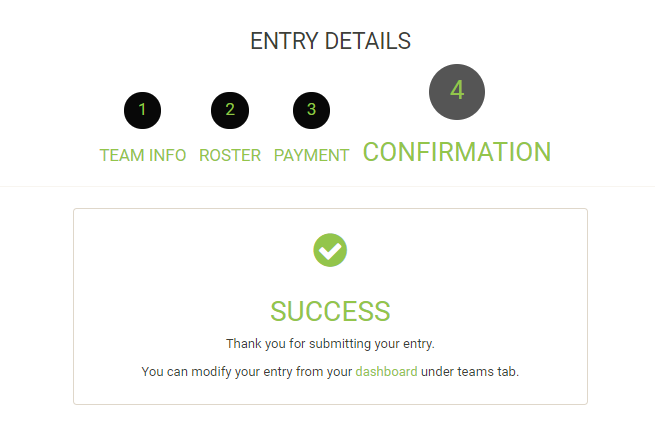 Tournamatic.com makes it easy for participating teams to sign up. First, we recommend that you read all the information in the tournament page that you are signing up for. Make sure you select the right division to enter your team in. 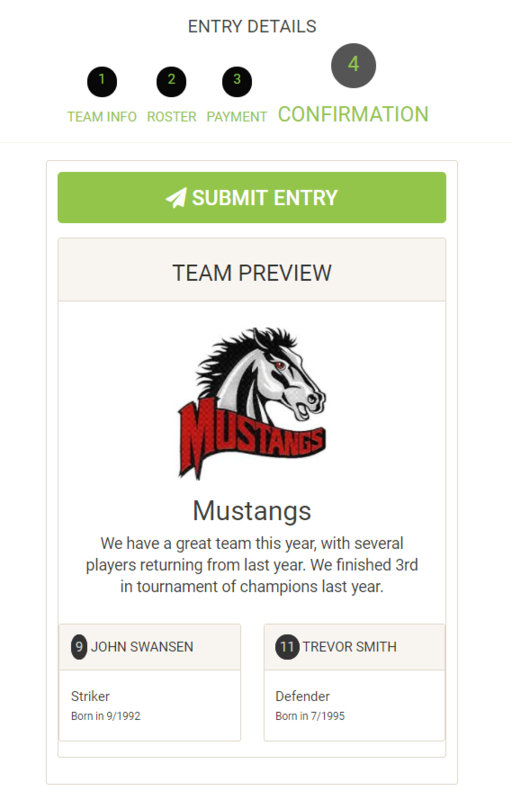 When you press the "SIGN UP FOR TOURNAMENT" button, you will be prompted to register in tournamatic.com platform. 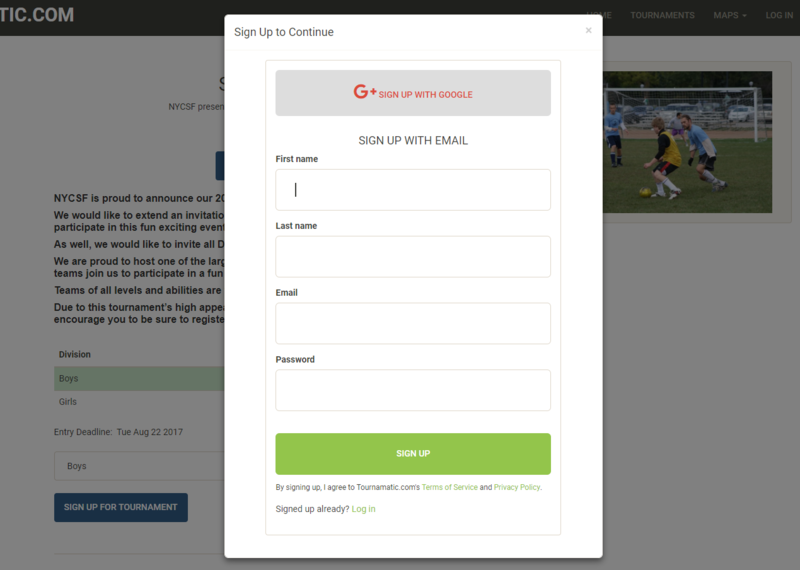 If you are already signed in, you will not see this prompt. If you already have a tournamatic.com account, just press the "Log in" link at the bottom to log in. 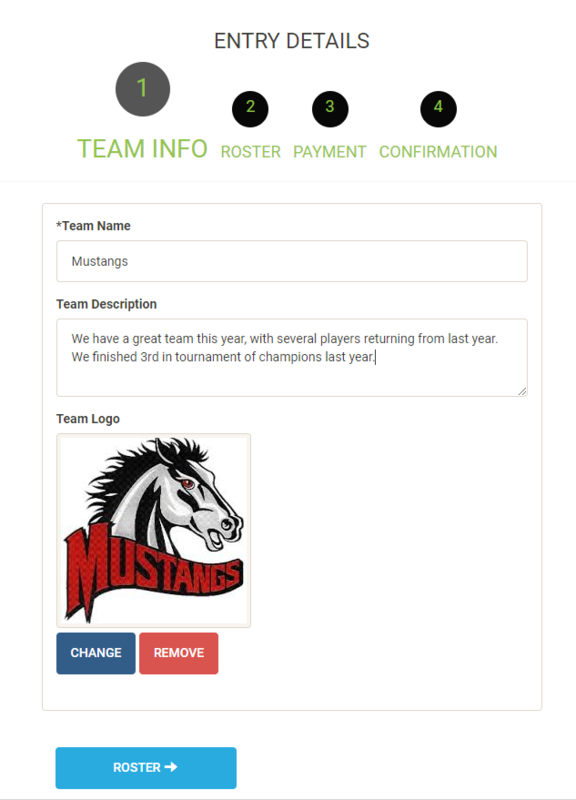 You have to enter your team name, optionally some description about your team to help organizers to seed you properly or know about any special needs that you may have. You are also encouraged to enter your team's logo if applicable. 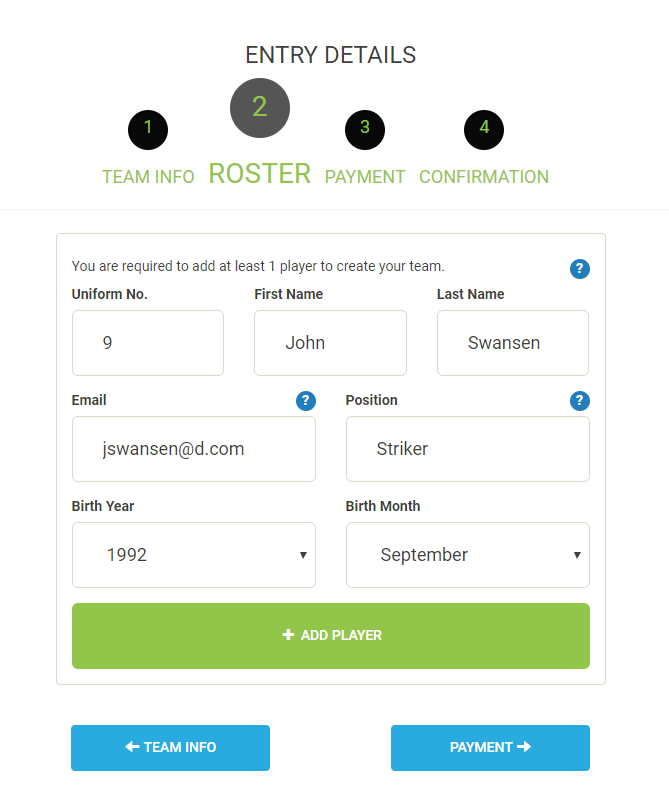 Enter the players information in your roster to help organizers get to know all the participants in your team. Knowing the demographics of the participating players can help organizers prepare and plan more effectively for the tournament. The last step to complete is to pay the entry fee specified by your tournament organizer. 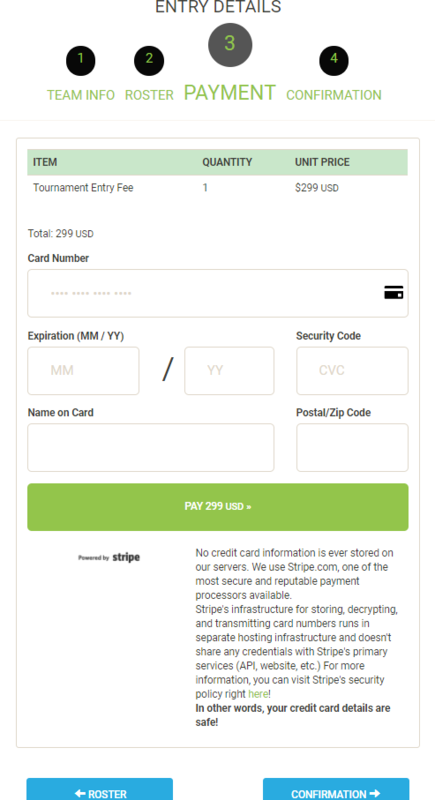 Tournamatic.com uses stripe.com as its payment processing gateway. Stripe is a very powerful and reliable platform for collecting fees online. After you successfully complete the payment step, you will be presented by a preview of your team. This gives you a final opportunity to review your entry and make any correction or modify your entry in any ways you like. If all looks good, just press submit to complete the entry. If your entry is successful you will be prompted by following message. You are now in the tournament. 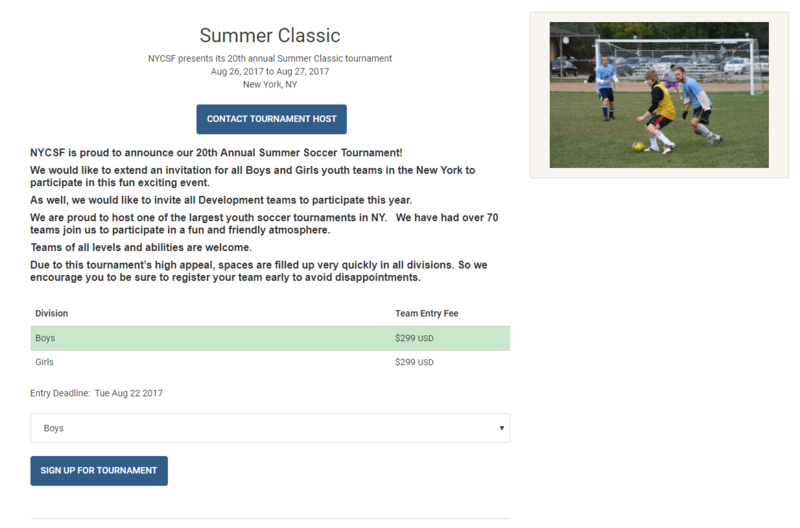 You will receive a few notifications from tournamatic.com by email to verify your payment and your entry to the tournament.